Tenpaku Park (Tenpaku Koen) is a large public space a short walk up the hill from Hara Station on the Tsurumai Line of the Nagoya subway.Tenpaku Park is one of the many large public parks in Nagoya city. 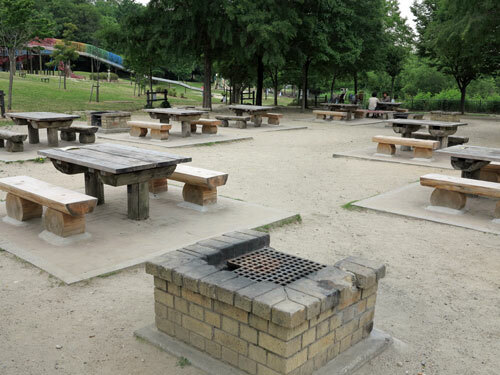 Tenpaku has an open BBQ area (“Day Camp”) with brick and metal barbecue pits, which draws a large number of visitors especially on weekends and national holidays. 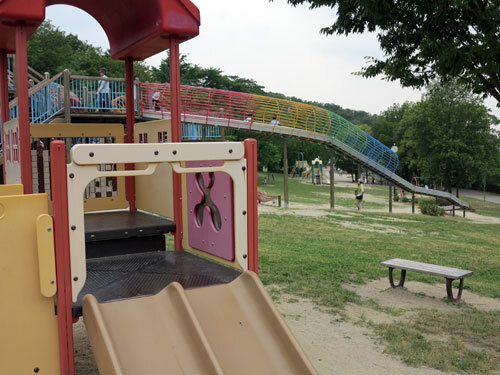 A reservation is necessary and there is a small fee.Nearby is a large children’s park with a mega-slide, swings and climbing frames. The rest of Tenpaku Park is taken up with a large lake, small streams and some expansive lawns.